Holy Spirit Parish welcomes new parishioners. To register, call the parish office to make an appointment with the pastor. 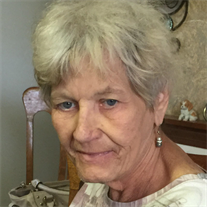 Beloved wife, mother, grandmother and sister passed away Wednesday, December 28, 2016 at the Cartwright Hospice Residence. Age 75 years. Nancy was born September 20, 1941 in Saginaw, Michigan. She married Anthony (Tony) Twarozynski, her loving husband of 56 years, on September 10, 1960. He survives her. Nancy was a member of Holy Spirit Catholic Church and had helped with the funeral luncheons. She enjoyed playing cards and going to the casino. Most of all, Nancy loved time spent with her family. Surviving besides her husband Tony are one daughter, Tracy Twarozynski and her husband Jeffrey Garcia, Perry, Michigan; two granddaughters, Ashley (Andrew) Ash and Abbey Garcia; one sister and two brothers, Dorothy and Samuel Mazzola, Lyle and Larry Parks; several sisters-in-law, brothers-in-law, nieces and nephews. Funeral Liturgy will take place 10:00 a.m. Friday, December 30, 2016 at Holy Spirit Catholic Church, 1035 N. River Road in Saginaw. Rev. Fr. Peter Gaspeny will officiate with entombment in St. Andrew Mausoleum. Friends may call at The Snow Funeral Home, 3775 N. Center Rd., (between Shattuck and McCarty), where the family will be present on Thursday from 3:00 p.m. to 7:00 p.m. and at Holy Spirit Catholic Church on Friday from 9:00 a.m. until time of Mass. Those planning an expression of sympathy may wish to consider memorials to the Sandra Kahn Memorial Foundation (which assists family at the Cartwright Hospice Residence) or Holy Spirit Catholic Church.